Deluxe backpack embroidered with The Seeing Eye in print and Braille. 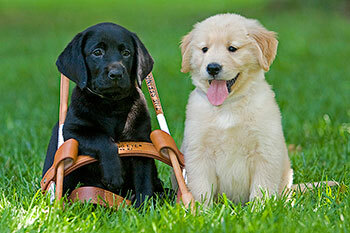 Cuddle one of our Lab, shepherd or golden retriever plush puppies and know you'll never have to clean up after them! White dog bone shaped flash drive.